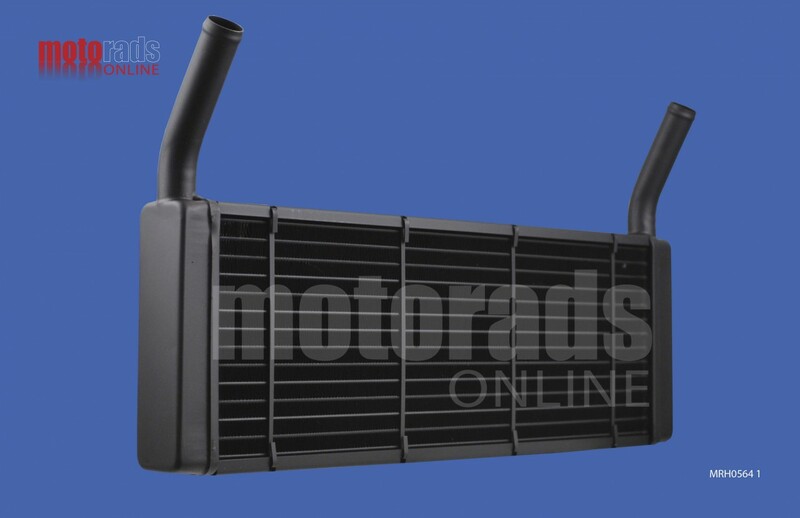 A Top Quality Heater matrix to fit a Plaxton bus or coach. This is a robust copper and brass aftermarket heater matrix made to the highest standards in the UK to replace the plastic and aluminium original. The original has rectangular flanges with a pipe set attached and a pair of unused brackets. This was a generic tank assembly which has been replaced by a simple brass tank with the pipes silver soldered into place for extra strength. There are many different coachbuilders and body styles used on the Plaxton but if your heater matches the description above and the dimensions match, this heater will be a direct replacement.You can click on the image to enlarge it or move your cursor over a specific area to look more closely at a particular feature on the heater core. The dimensions given below are at the longest, widest and deepest points of the heater and not the centre core measurements. If you are not sure whether this is the heater you require please contact us and we will help.